When I was still studying, I had this habit of reading my school books immediately after my Mom buys them for me at enrollment. Even before the official school year rolls around, I have already finished reading all the stories in my Filipino, English, and Christian Living books. One of the books I devoured was Ibong Adarna, which was required reading in our Filipino subject when I was in first year high school. This folk tale follows the journey of three mighty brothers—Pedro, Diego, and Juan, as they search for the magical bird whose voice possesses healing powers. There's drama, comedy, adventure, and of course, romance. Imagine my delight when I found out that Ballet Manila is doing their own interpretation of Ibong Adarna! 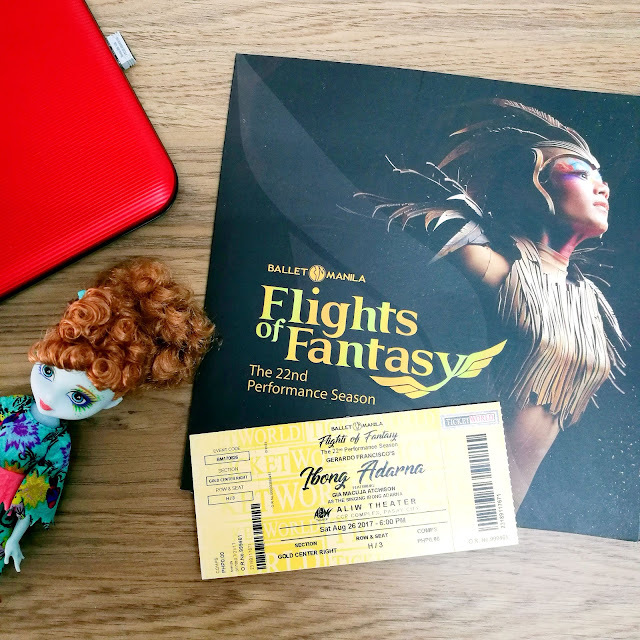 With the title Flights of Fantasy, the upcoming season is opening with the world premiere of Ibong Adarna featuring the choreography of principal dancer Gerardo Francisco. The multi-awarded choreographer and gifted danseur is set to bring to life the magical kingdom of Berbanya at the Aliw Theater stage. Ballet Manila's CEO and Founder prima ballerina Lisa Macuja-Elizalde describes the show as “a modern ballet with neo-classical and classical styles that serve as the cornerstone of the dance vocabulary.” Ballet Manila is known for its Vaganova roots, and this ballet highlights the company’s strength and foundations—creating a sleek and distinct look for all of Ballet Manila’s performers. I wish we can also support Filipino talents and productions the same way we support foreign acts who go here. Ibong Adarna’s world premiere is tomorrow, August 26 at 6:00 PM. Other show dates are: September 2 at 6:00 PM, and on August 27 and September 3 at 3:00 PM. All shows at Aliw Theater in Pasay City. For more information about the shows, including ticket prices and schedules, you may visit Ballet Manila's website or follow Ballet Manila on Facebook, Twitter, and Instagram. Tickets are also available through all TicketWorld outlets. Please call 891-9999 or visit their website for more information. In addition, those who are planning to watch all the shows may take advantage of the company’s Season Subscription Programs, which offer up to 50% discount on ticket prices. For more information, you may visit this link and click on ‘View Details’ under ‘Season Subscription Program’.